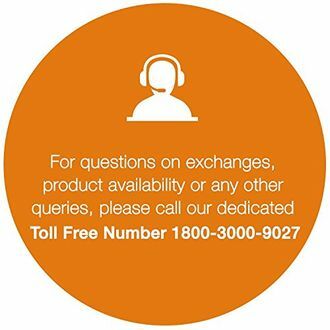 Kenstar is a renowned company for manufacturing and selling home appliances. It has several products in its line-up like microwave ovens, electric kettles, mixers, grinders and cooling appliances. 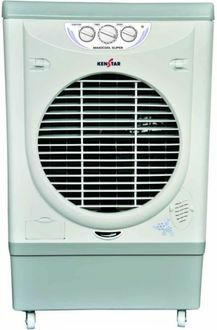 Kenstar 60 L- 70 L capacity air coolers are pretty popular in the cooling appliances. 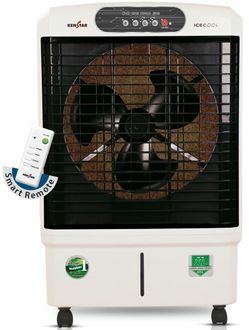 Most of the air coolers are desert coolers and are powerful to use in arid regions. They are designed for indoor use and come with various features. It has a powerful motor to throw air at a greater rate. Most of the air coolers come with an air throw distance of 45 feet and with the fan size of 18 inches. They come in 3-speed settings and also come with dust filters and throw air in multiple directions. These coolers come with the latest technology consuming very less power, thereby decreasing your electricity bills. They have multi-directional castor wheels for easy mobility of air coolers. 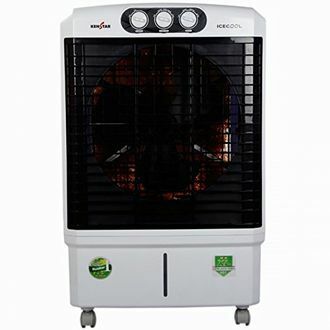 You can check out the price list of 8# Kenstar 60 L- 70 L Air coolers and the prices are updated on 23rd April 2019. 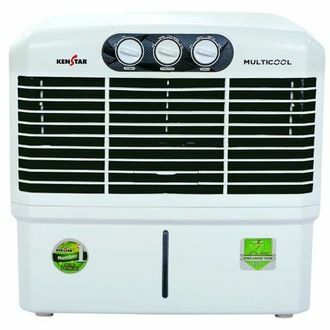 The air coolers from Kenstar are available to buy online from top online shopping websites like Flipkart, Amazon, Snapdeal and Tata Cliq. 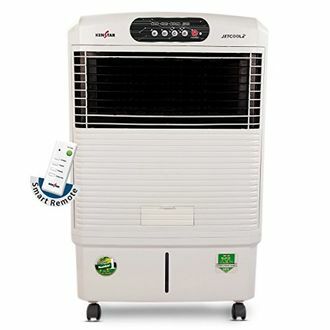 If you compare the price across major websites while purchasing Kenstar air coolers, you can get it at the lowest price online. 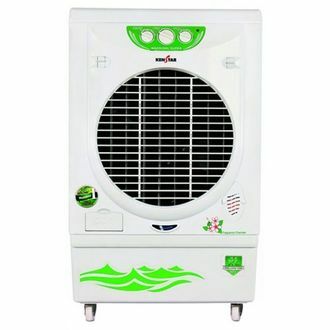 These coolers also come with mosquito net and are made of durable ABS plastic. You also get multiple cash back offers and discounts on online purchase.